One of the most popular trails in Wessex. 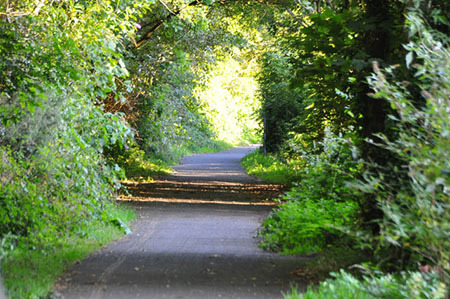 The Tarka Trail is a 180 miles in a figure of eight walking and cycling route. 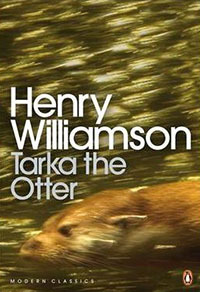 Named for “Tarka the Otter”, Henry Williamson's poignant 1927 novel and the 1979 film of the book narrated by Peter Ustinov. Both the ﻿book ﻿and the video of the film are still available. Henry Williamson set his novel on actual places that can be found along the 180 miles of this trail. These places are mainly the same as they were over 80 years ago. Wonderful unspoilt countryside with wooded river valleys, dramatic coasts and rugged moorland. It takes in the western edge of Exmoor and runs into Dartmoor. 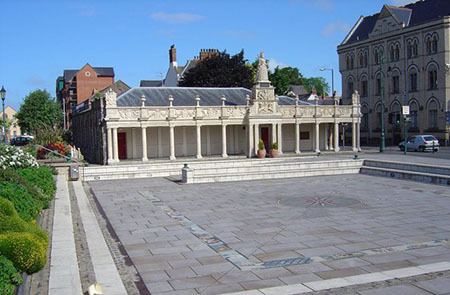 Barnstaple is the centre of the figure of eight. This delightful town can be reached by both rail and National Express coaches. 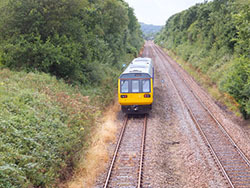 For a real holiday, a weekend or day out the most pertinent and scenic route is the Tarka Line, a railway that runs from Exeter to Barnstaple. The northern section of 84 miles follows the River Taw to the estuary of the Taw and the Torridge. It then turns north through Woolcombe and along the Bristol channel coast to Ilfracombe and Combe Martin. It continues North to Lynton and then south along the west of Exmoor back to Barnstaple crossing the Tarka Line Railway. The southern section again leaves Barnstaple this time for 68 miles walk first to the Taw and Torridge Estuary then south to Bideford along the River Torridge to Pedtrockstowe. North again and then south to Hatherleigh and Okehampton . From there it follows a short southern route into Dartmoor before turning north to North Tawton and Eggesford. Although the Trail is described as a figure of eight, it is slightly misleading. In this section there is a gap between Eggesford back to Barnstaple that can only be completed by the Tarka Railway. Fun anyway. A two week walk, weekend or day trips, waymarked with Tarka Trail Posts and otter paw prints. The Tarka Trail is one of the musts for ramblers or cyclists it would seem from its considerable popularity. Devon County Council have published a Guide which can be purchased online. The 30 miles between Braunton and Meeth is the very popular section for cyclists. It starts as a flat off road route along the banks of the River Taw, on through Chivenor and crosses the River Yeo on the new swing bridge. From then on it goes to Great Torrington and finishes at Meeth. Cycles can be hired next to Barnstaple Railway Station and at Ilfracombe, Braunton, Torrington and Bideford. For cyclists information, this route is part of Devon's Coast to Coast route, and from Barnstaple to Petrockstowe is part of the West Country Way Cycle Route between Bristol and Padstow. The trail has recently been upgraded with 21 new information boards about the history and wildlife of the area. There is a new Audio Trail which can be downloaded on to a PC, phone or MP3 player from North Devon Biosphere Reserve. Click on "Out and About" and the link is at the bottom. The Information posts have numbers at the top relating to the Audio Trail download. Interesting and worth getting. For part of its route the Tarka Trail follows the same course as the South West Coast Path and Two Moors Way, then also Dartmoor Way. The trail also connects with the West Devon Way, Two Castles Trail , and the Little Dart Ridge and Valley Walk. "Tarka the Otter" is available. 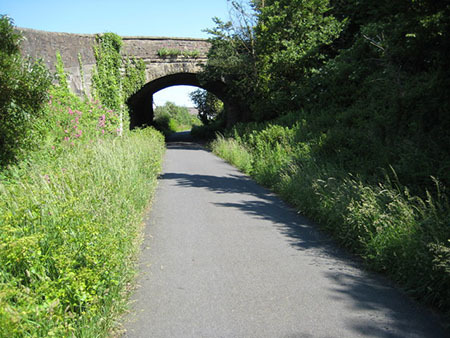 The Tarka Trail has many opportunities for cycling, walking and running. Very enjoyable short breaks can be made, days out and even a ride on the Tarka Line.